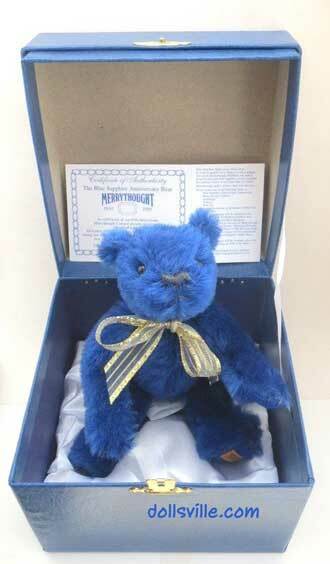 Merrythought Red Tipped Mohair Teddy Bear. 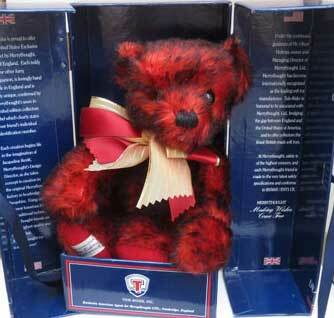 "Aptly named for the fire-red mohair with black tipped used to create this special teddy. With sculpted arms and legs, Sunberst is 9 " tall and fully jointed. Put a ray of sunshine in your life by bringing Sunberst home today. 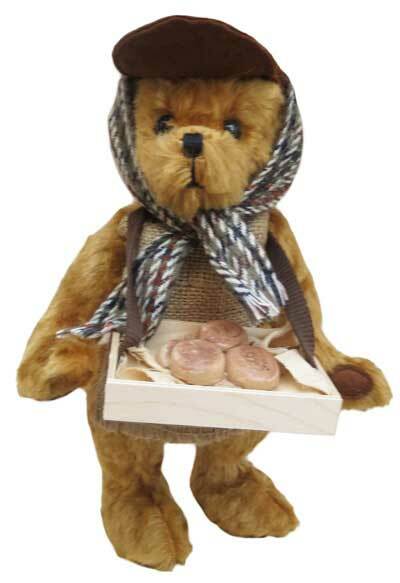 The bears are made from 100% pure mohair. They are fully jointed and hand-made in the same way that they always were..
Everyone knows that a wishbone is said to bring good luck and make your favourite wish come true. But if you have ever wondered about its significance as part of the company's trademark then we have the answer. 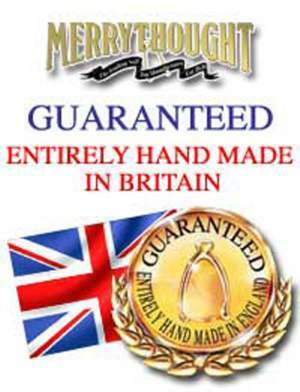 The word 'Merrythought' is actually the old English name for a wishbone - and Merrythought always hope that owning one of their bears will truly be a wish come true for you. This special gift-boxed teddy bear, hand-made of pure red Mohair, black tipped, has a gold and red ribbon bow around his neck and comes in a very lovely presentation box.